Happy Blogging everyone! Today I’m bringing it back to the old school with a new twist. 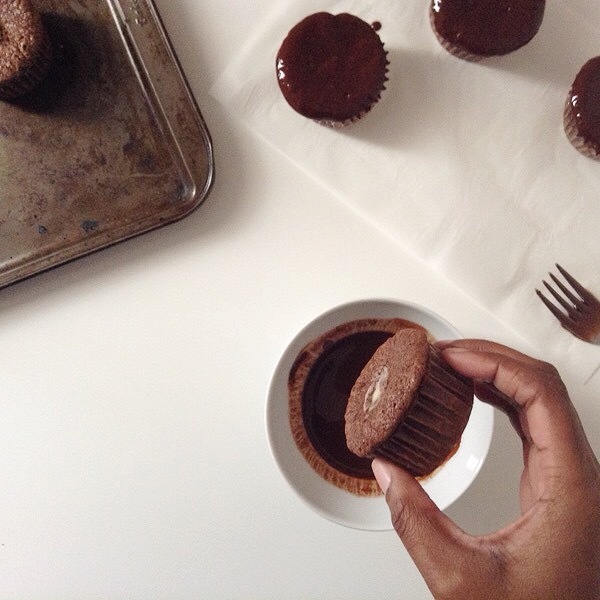 Basically every person, old and young has had a Hostess cupcake in their lives (even with them going into bankruptcy) and as we get older our flavor preferences evolve but we still love those old school treats we use to try and sneak extras behind our parents back. Today’s post is an awesome old school favorite with a new school twist that anyone would love! 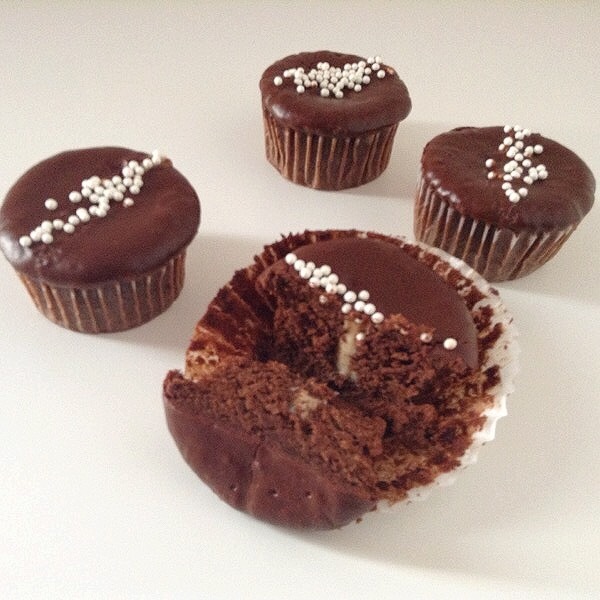 I made a Chocolate Cupcake with a Vanilla Bean White Chocolate Ganache filling with a Chocolate Glaze. 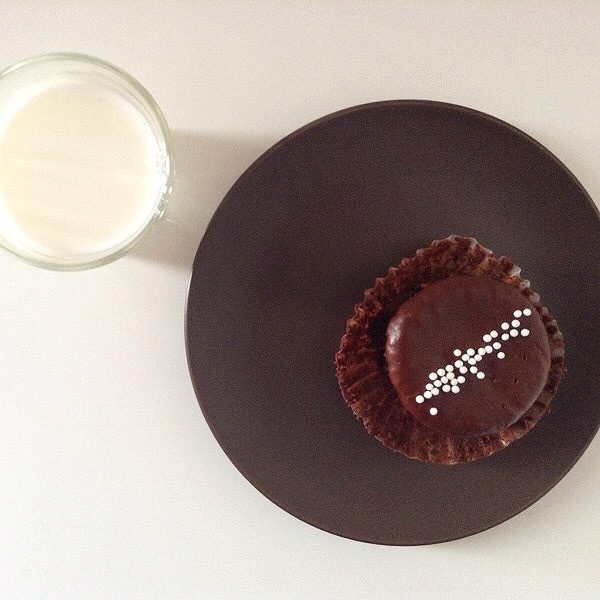 It’s inspired by a Hostess Cupcake but it taste so much better. I PROMISE! 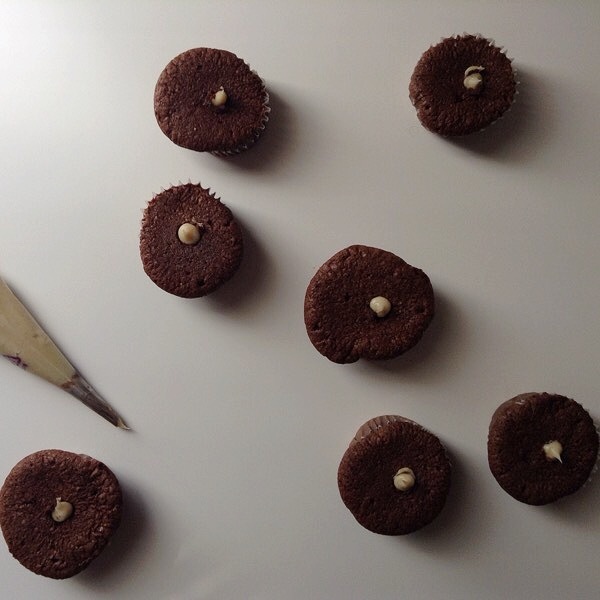 Behind the Scenes (BTS): I kept thinking about an old school post and how to make it new and make it original and decided that a Hostess cupcake would be perfect since everyone knows what they are and how they taste. I decided to do a different filling and not to do the swirl on top but a nice sprinkle of decorative pearls; you can find at any supermarket for less than 4USD. It came out a hit and my roommate has already requested them for her birthday! Alterations: If you would prefer complete chocolate then instead of white chocolate use dark chocolate and if you prefer milk chocolate to white chocolate then use 1/4 cup (60 grams) of heavy cream as opposed to 1/3 cup (80 grams). 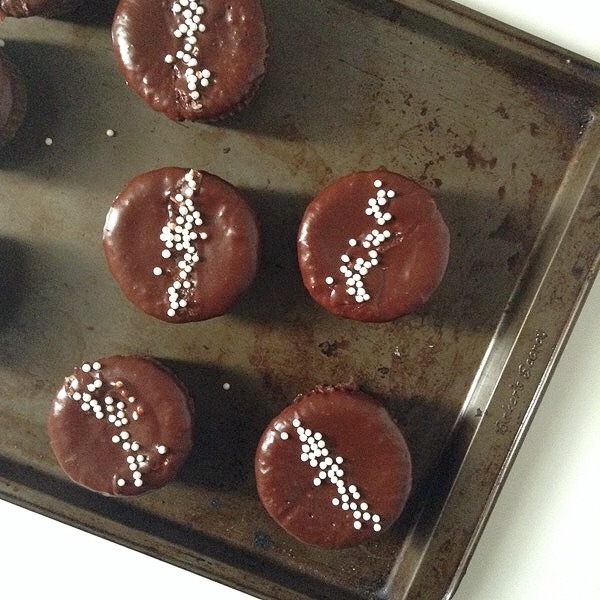 I know that there are hostess cupcakes with the orange filling and if you would want that then add about 3 tablespoons (40 grams) of orange jam to your ganache and subtract about 3 tablespoons (45 grams) of heavy cream from your ganache. You can do this with any jam you want, be it strawberry, blackberry, blueberry or lemon. 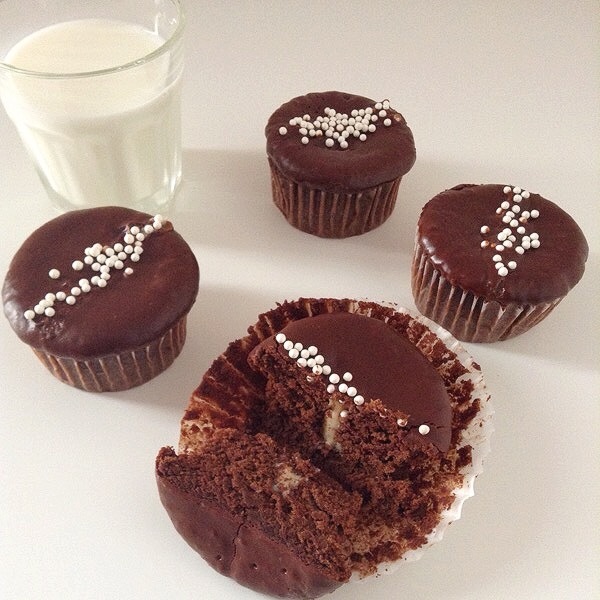 Helpful Hints & Suggestions: There are a lot of helpful hint and suggestions I could give you, I know the main issue here for some people may be the piping aspect of this dessert, if it really stresses you out and you don’t want to pipe then you could cut a hole out of the cupcake with a small knife and fill it with a zippy bag filled with the ganache. Below in the recipe are extremely detailed instructions on how to pipe the ganache if you are using the tools you see in the pictures. 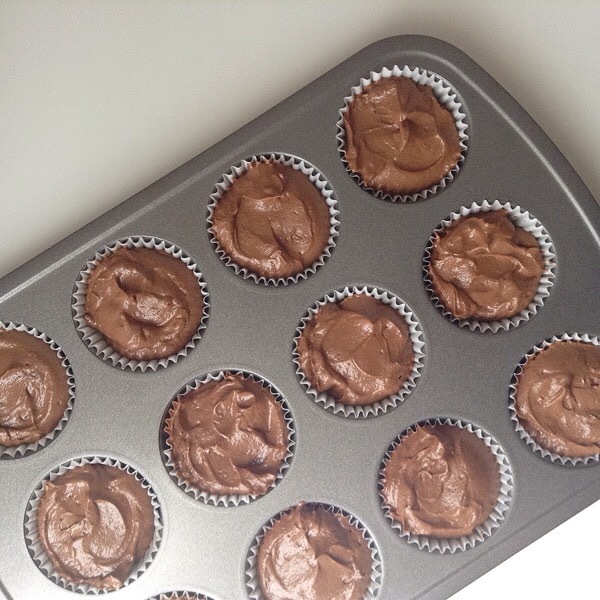 For the cupcake you may want fill the cupcake more than 1/2 full, more like 3/4 full, you may notice there is not baking soda or powder in this recipe so rising isn’t really going to happen all that much so fill it enough to get a fullness your happy with. Glaze: You may feel a bit nervous about the glaze and you shouldn’t, once again right below this paragraph you will see pictures of how you should dunk the cupcake into the glaze, there really is no wrong way how to do it you just want to get the extra glaze off that way there isn’t a big chunk of glaze on the cupcake. Ta-Ta-For-Now: Well that’s all for now, this recipe is THE BEST! I’m so proud of it and that I made it more than once! 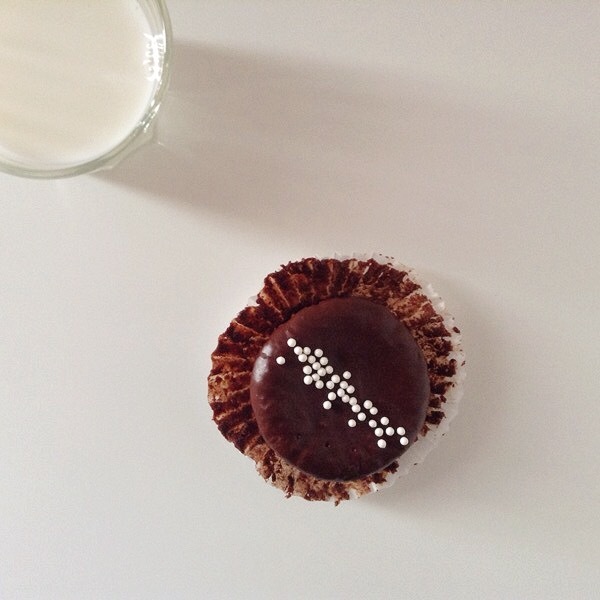 Trust me you will be as well, everyone you give this to will love it because it’s not your average homemade Hostess cupcake, it’s something better and a bit fancy and the best part is that kids will still love it also! I hope you all enjoy this recipe and have an awesome rest of you day! ENJOY! 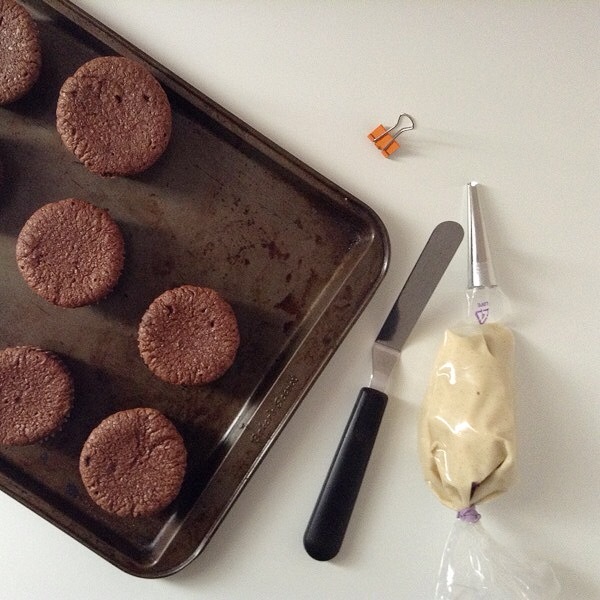 Pre-heat, Mix & Bake: After measuring out and dividing all of your ingredients preheat your oven to 365F/160C. In a small bowl sift your flour and cocoa powder, and in another bowl add your chocolate chips to your hot water and let it melt and stir until fully incorporated. In the medium size bowl cream together your butter and sugar until fluffy, add your melted chocolate mixture and once fully incorporated alternately add your flour mixture and eggs. Stop after each egg and flour mixture to mix your batter by hand to make sure everything is fully incorporated. 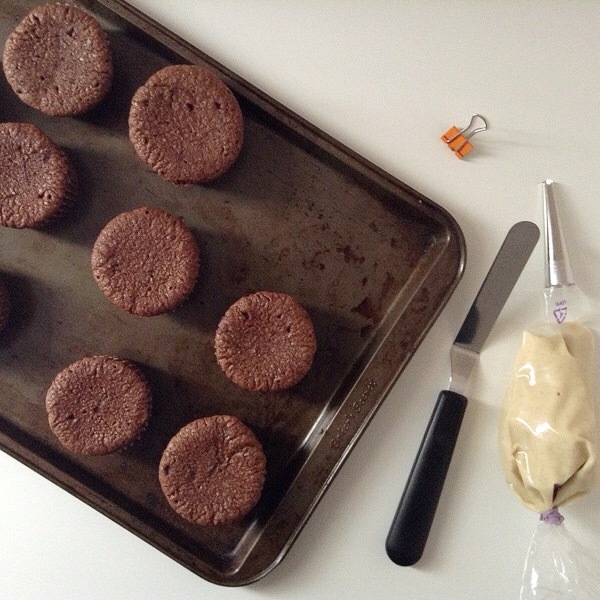 Once your flour and eggs are fully incorporated into your batter begin to scoop 1 large ice cream/cookie/cupcake scoop into each cupcake tin, tap down a few times and put it in the oven for 20 to 25 minutes. 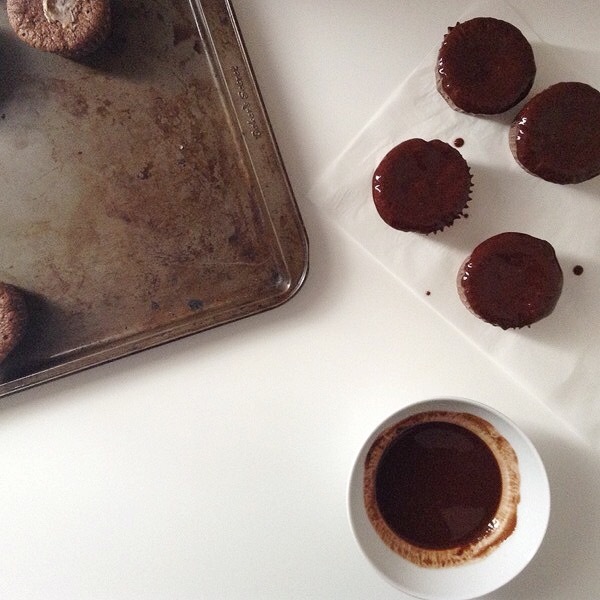 Once the cupcakes are done, set aside and let it cool down to room temperature, about 30 to 45 minutes. 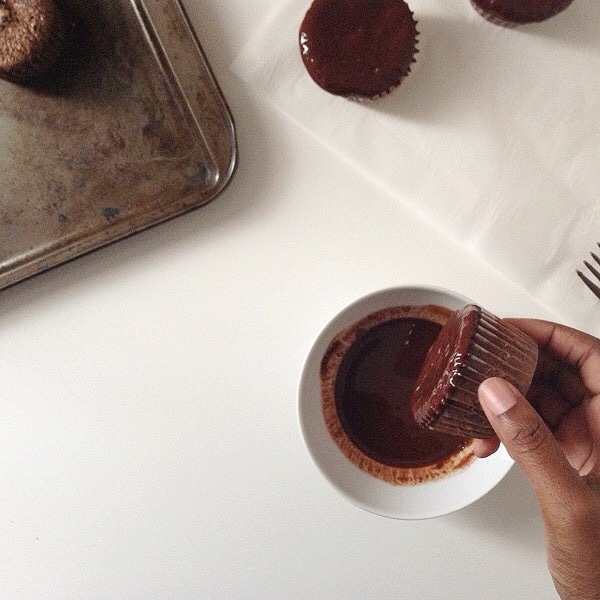 Hold, Dunk, Swirl, Lay Down, Sprinkle & Enjoy: Once you’ve filled all your cupcakes it’s time to make the glaze. Put your chocolate and butter into a small bowl and put in the microwave for about 30 to 45 second, stir your chocolate until fully combined and let it sit for about a minute to thicken up. 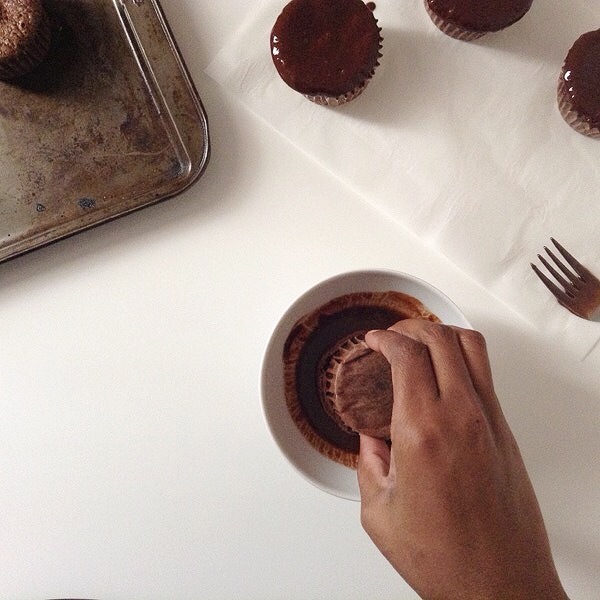 Then go on to take your cupcake and begin to dunk it, you want to dunk it just until you reach the top of your cupcake liner, pull it out and slowly turn it in a circle sideways, this will help some of the excess glaze drip off back into the bowl. 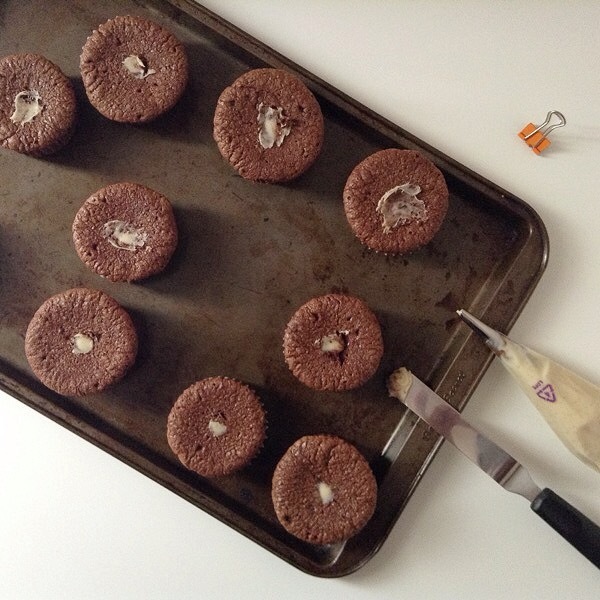 (Helpful Hint: Sometimes there may be air bubble or not all of the cupcake will get glazed the first dunk, this is normal, you want to dunk it twice anyway so don’t stress it, if a certain area is still stubborn and refuses to be glaze take a small knife dip it into the glaze and lightly spread it over the area which glaze refuses to stay.) You want to dunk your cupcake twice into the glaze and once your lightly swirled it sideways again set it back down and let it sit for about 30 seconds to a minute (this is enough time to glaze another cupcake) and sprinkle your decorative pearls onto the cupcake. 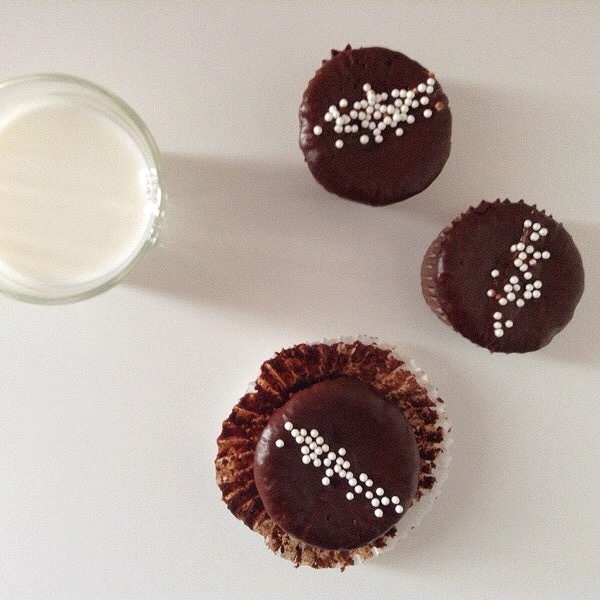 Do it again to the rest of your cupcakes and you’ve officially made an amazing Hostess Cupcake that any adult would eat and any kid would enjoy. Just be careful because you’ll never be able to eat a regular Hostess cupcake again.